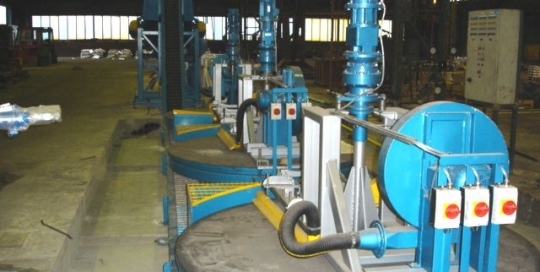 Aluminium ingot casting machines used in foundries have to be carefully designed and well built to ensure a long life. 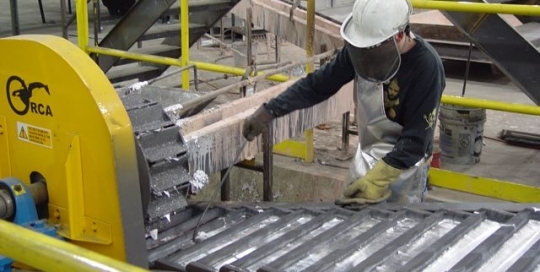 We used our own foundry to develop aluminium ingot casting machines to be the most rugged and reliable on the market to give you maximum productivity and minimum downtime. The JMC range of aluminum ingot casting machine models will produce cones, cubes or long bars and can be adapted to suit your individual requirements. However, if you are looking to produce high quality aluminium granules then you’ll be interested in the JMC Centaur, which is a unique systems able to produce up 10mm aluminium granules without tails.